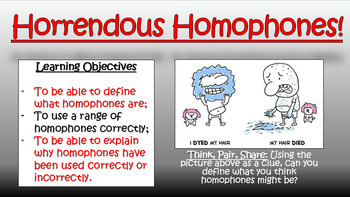 This interesting and engaging double lesson enables students to define what homophones are, use a range of homophones correctly, and to be able to explain why homophones have been used correctly or incorrectly. 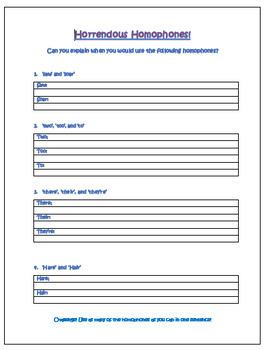 - Self-evaluating through frequent AfL tasks, in order to observe their progress through the lesson. 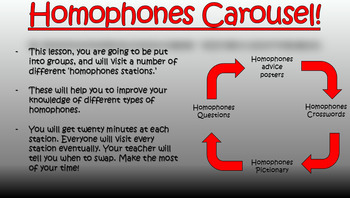 - A detailed lesson plan, complete with what the teacher and students should aim to achieve at each stage of the lesson. All images are licensed for commercial use, and are cited on the final slide of the PowerPoint.